For years and years researchers have marveled in front of the quality and the longevity of ancient roman concrete. The concrete has been in contact with the sea for more than 2,000 years and the erosion is minimal compared to our modern concrete. What was ancient roman concrete made of? 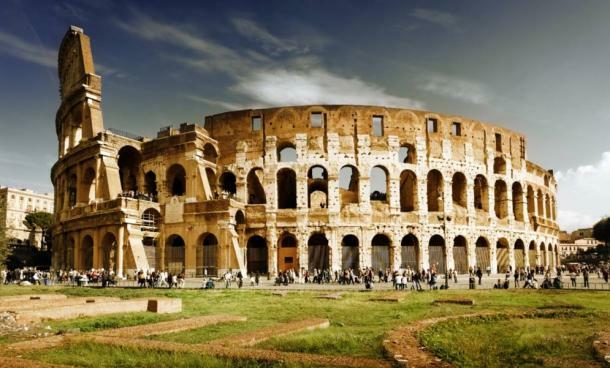 The mystery has almost been solved by scientists, who have realized that ancient roman concrete is not only more durable, but it also becomes stronger in time. The geologist Marie Jackson, from the University of Utah has been studying roman concrete over many years and with her research team, they managed to find out how this concrete solidifies in time. Portland cement is the major ingredient in modern concrete (silica, sand, limestone, chalk, clay). This ingredient (chunks of rock and sand) are mixed to become inert so as to prevent cracks, but at the same time causing erosion over time. How does roman cement work? On the contrary, ancient roman concrete was made out of volcanic ash, lime, seawater, the tuff rocks (deposits of volcanic ash). The latter ingredient mixed with the mortar made the roman cement one of the most durable types of cement over time and natural conditions. To prove their research, Mari Jackson and her team gathered roman marine concrete samples from different Italian ports. These samples were extracted with the help of an electron microscope, then they were drilled down using X-ray microdiffraction and Raman spectroscopy. The method used to gather samples is very advanced and they were able to name and tag all the grains used to make the ancient concrete. Another interesting finding of this research team was the presence of aluminous tubermorite, which is a silica-based mineral growing inside the ancient concrete because of its contact with sea water.